Mohamed obtained his Bachelor of Arts from Al Azhar University – Faculty of Languages and Translation in 1989. He is part of our IP prosecution team since 1994. 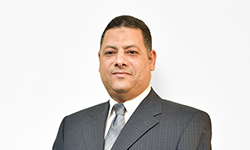 He is experienced in dealing with the Egyptian Trademark Office in all matters concerning trademark prosecution and registration.